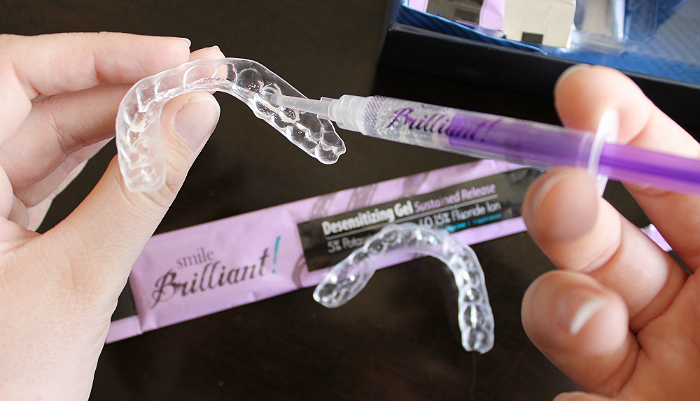 **The product for this review was provided by Smile Brilliant for Blog POP! Events School Rules. 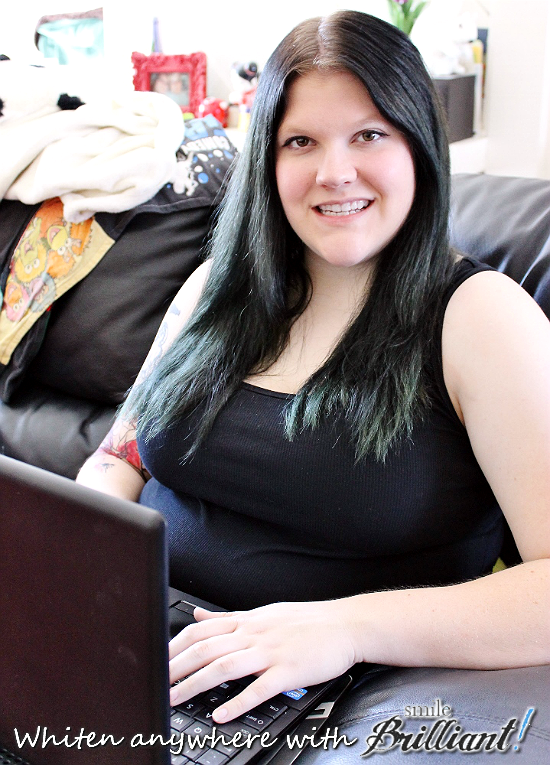 All photos and opinions below are copyright Momma Told Me Blog 2014. Momma Told Me: Smiles are universal. When I was 5, just after Momma had triumphed over cancer, Papa set up a series of Glamor photos as a Mother's Day gift. I recall all the months she had been undergoing chemotherapy that she'd refused to leave the house without a handkerchief or scarf around her head. Even in the 90's people were cruel and unkind, they'd stare wherever we went, and simply going out for dinner could feel quite uncomfortable for all of us. At the same time, Momma had always refused to don a wig; it was not her fashion to deny who she was or what made her so. And, that was how I learned the lesson that true beauty can shine through in any way we choose. After Momma's Glamor shoot I recall spreading the sample prints out on the carpet floor. Still a bit unsure of herself, hardly any hair on her head and lacking the stunning golden locks Papa had fallen for- I sensed my mother was uneasy. To me, every single shot was breath-taking, but, in particular, I was drawn to Momma's mouth. There was something captivating about the way her hesitant lips parted to crack a smile. And the way they were painted, bright red and glossy, especially made her teeth pop- She had one of the most perfect smiles I had ever seen, and I was determined, someday, I would too. I suppose I could say both of my parents are 'pro smile', but more importantly, they ingrained a strong importance in dental hygiene. Long before puberty hit and I felt a need to shave fabric off my wardrobe to standout, Momma taught me a stunning smile could make a lifelong impression far beyond any outfit. And it's not just Momma's opinion, mainstream media is littered with artificially perfect smiles from photo-shopped chops to beauty queen 'flippers' and a multi-million dollar orthodontics industry- teeth whitening. I grind my teeth horribly (and I suffer with a night guard for it,) they're not the most even chompers, but they're white chompers. I've tried it all- pastes, strips, whitening pens and guards, rinses, toothpastes, and more- no treatment has left my teeth as pearly white as a trip to my dentist. And, as long lasting as custom whitening can be at the dentist, it can also be costly when billed with words such as 'elective' an 'cosmetic.' Thankfully, internet based businesses continue to make our modern lives more accessible and affordable with brands such as SmileBrilliant! 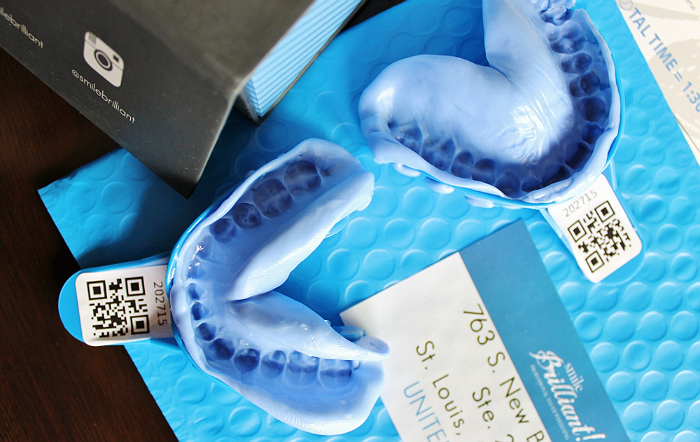 offering custom fitted whitening tray packages as low as $120! 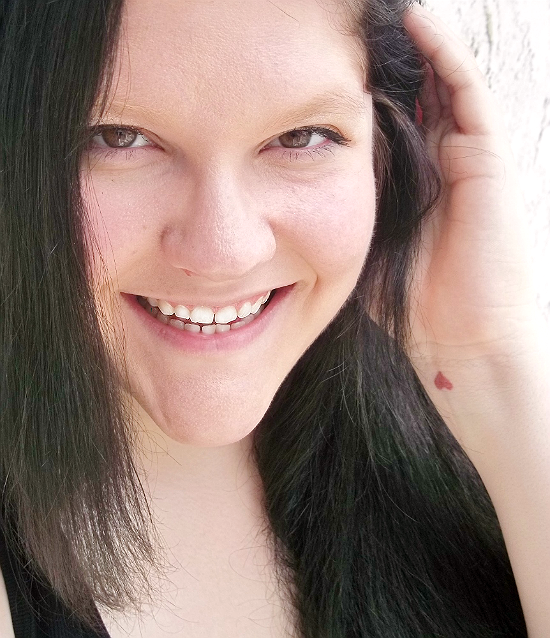 I've spent over $80 a month on over the counter strips and gels to keep my teeth their whitest; so I was immediately excited to have a chance to try the system out. When you buy a SmileBrilliant! custom teeth whitening system you will be sent everything you need to get custom fitted whitening molds, including your sensitivity and whitening applicators (starting with 3 treatments.) The process of molding one's teeth is much like an experience at the dentist (as I did when I had my night guard made,) and requires the simple mixing of two compounds by hand. Once the molding putty is mixed you will press it into the provided mold trays and press the trays firmly into your palette, or lower teeth. 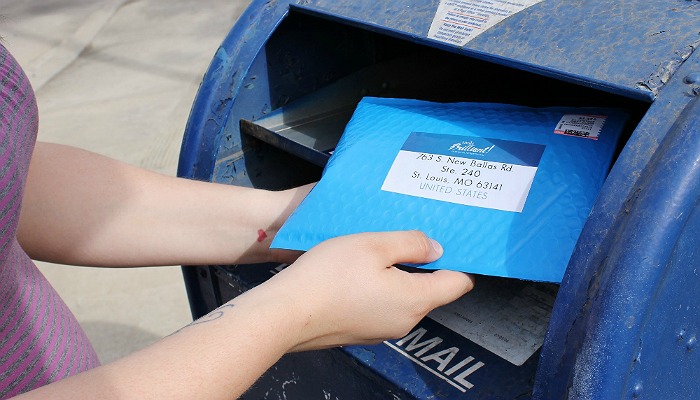 After just a few minutes you may remove the molds, let them sit for 30 more minutes, then seal them in the postage paid envelope and drop them in a local mailbox. You will receive notice when your custom SmileBrilliant! molds are received, and when the completed trays are sent out. The process took less than a week from initial kit receipt to trays in hand, for me. As soon as you have your custom trays you are ready to begin whitening! The company has included optional sensitivity gel to apply prior to your whitening application, should you have cracked or compromised dentin or sensitivity. The 'numbing' process is not invasive and works the same way the whitening process will, through mess free application with your custom fitted trays. The trays are a pliable poly material that is lightweight, but fragile to grinding or tears (so be mindful when wearing them.) Because of this they are also quite comfortable and undetectable, so you can go about your whitening while folding laundry, making lunch, or Google chatting. SmileBrilliant! allows for a wide window of whitening time. Leave the trays in up to 2 hours for maximum whitening, or 30 minutes for an in-between, touch up, treatment. I left mine in for about 40 and noticed my teeth were more brighter overall. Keep in mind I whiten my teeth regularly, and that the even-ness of your whitening results will be greatly impacted by how well you floss and clean your teeth prior to the treatment! In all, I think this custom whitening system is very convenient for modern lifestyles and would make a great gift, or subtle hint, to anyone this upcoming holiday season! What Daughter Says: Next to your eyes, your smile is the first thing noticed in first impressions- make it sparkle! 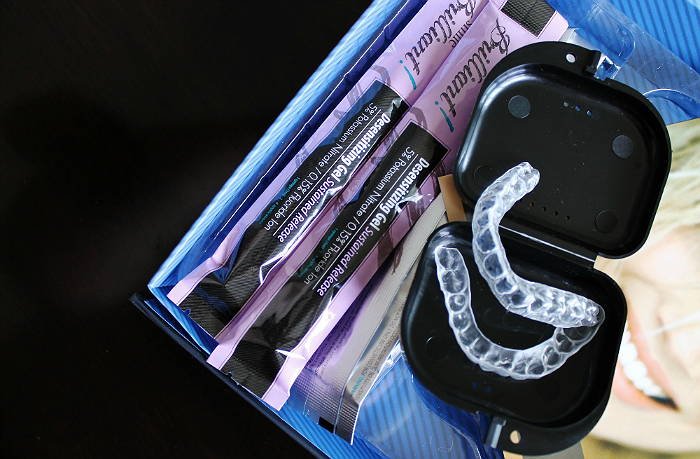 One Momma Told Me reader will win a custom Smile Brilliant system, valued at $179! I love that it has a 30 day money back guarantee & all shipping is pre-paid!! I learned that whitening can last for a few years. I learned that dramatic results usually come in 5 to 6 days. SmileBrilliant! offers a no questions asked 100% results satisfaction guarantee. What I like the best about it is that it's custom-fit for you, so you can get the best whitening... and they 100% satisfaction guarantee. Also, your momma... wise woman ;) But you know that! I learned that the whitening trays are identical to those provided by the dentist. The shelf life is amazing. 2 years? This would get me through at least 2 picture days at work! With all the coffee and tea I drink to stay warm up here in Alaska, I could definitely use some whitening for my teeth. I learned that the 9 syringe package is your best deal and it even guarantees results for coffee drinkers and smokers. Wow the results look great and I love that the molds are custom to your teeth. Nothings worse than using those trays that don't quite fit your teeth and are super bulky. I love all the benefits of this whitening system. I actually used this system before and it is awesome! I tired this too! Can't wait to compare my pictures. It's the first time I have whitened and it was a lot more pleasurable then I thought! I learned that SmileBrilliant! offers a no questions asked 100% results satisfaction guarantee. I learned that you make an impression of your teeth for a custom fit. I didn't know the trays are hand crafted - interesting! I learned that The number of gel required varies per person. Making your own dental impressions is fascinating. Never knew they could do that so never looked into buying whitening through the mail. Tried one through my dentist that I didn't like. All shipping for that process is included which is nice. Pretty affordable with 2 year warranty on the trays and 30 money back guarantee. Thanks for the giveaway! I learned that there is a 30 day money back guarantee! hi, i saw they offer teeth whitening products for 'sensitive' teeth...this would be ideal. I learned many people can see a difference after the first teeth whitening session. Dramatic results usually come in 5 to 6 days. We recommend that the initial teeth whitening process be continued for 12 consecutive days. After those 12 days, you only need to whiten your teeth as often as you want. If you want a continuous white smile, then you will need to whiten at least once a month. If you just want your teeth white for special occasions, then whiten them the night before and 30 minutes before the event. Most people's teeth get up to 7 shades whiter in one day using our Lab Direct Teeth Whitening Process! I love that they are custom made and have a 2 year replacement guarantee. 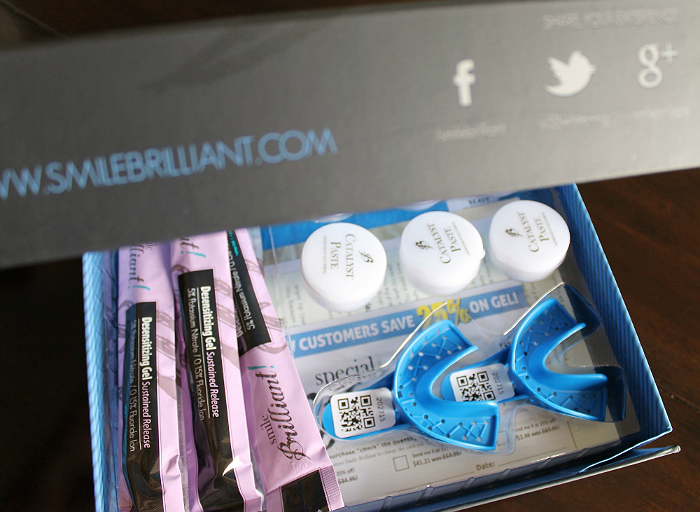 I learned that I can save as much as 70% at Smilebrilliant.com on all things teeth whitening! I like that you don't have to go to the dentist to get your teeth whitened! If you're dreaming of a brighter and whiter smile, teeth change of color could also be what you are looking for, for more information click here cosmetic dentist coral springs.